Homeowners in North Vancouver have been trusting Crown Roofing to deliver responsive service and quality roofing work for over a century. They know they can count on a Crown roof to provide reliable protection against the elements, and that our company can be trusted to back up all of work with product warranties and guaranteed service. Our focus is on making the experience of roofing your North Vancouver home as enjoyable and stress-free as possible. From your first call until the last nail is driven you can expect open and honest communication, responsiveness, and professionalism from every member of the Crown Roofing team. Do you need additional reasons to choose Crown Roofing yourNorth Vancouver roofing contraschedule a free on-site assessmentctor? 1. We use only brand name, top quality roofing products and materials from the industry’s leading manufacturers, including GAF Corporation and Owens Corning. 2. Our team members undergo extensive background checks and are continually trained on the very latest installation methods and safety practices. 3. We are experienced in all types of roofing systems, from flat roofs to steeply peaked roofs, and can meet any roofing challenge. 4. We stand behind every project with a guarantee of workmanship quality and the industry’s best manufacturer product warranties. 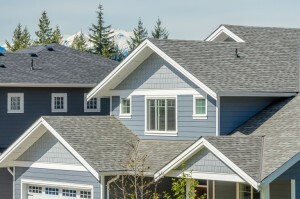 Your home’s roof is to important to trust to anyone less than the North Vancouver roofing company with the deepest experience and strongest commitment to quality work and customer service – Crown Roofing LTD.